The most dazzling and successful dance reality show of small screen will be back very soon. The Dance India Dance – Season 5 will be starting from 27th of June 2015. Zee TV’s popular dancing reality show ‘Dance India Dance’; popularly known as DID is is back with its fifth season. 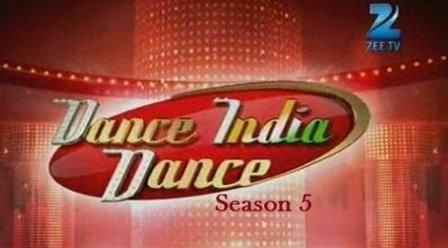 All DID fans will be looking to watch the Dance India Dance Season 5 live online episodes of this reality show on their tablets, computers or laptops. Though you can enjoy the show live on your tv sets, it may not happen every time that you are able to manage with the timings of the show to watch it live on TV. The online episodes will enable you to watch the show from anywhere you are at your leisure hours. Just give a click on the below link for Zee TV and watch the electrifying performances from the contestants of the Season 5 of DID. The new season of Dance India Dance is going to show case some novel dance forms to entertain the viewers and to add a new flavor to the show. DID has just completed auditions across various cities of India to hunt for the dancing talents. Dance India Dance has gone through four successful seasons and it has also been honored with television awards like ‘The Most Popular Dance Reality Show.” Moreover Dance India Dance has been a reason behind rise of some dancing stars who have also starred in bollywood dance flicks ABCD and ABCD 2. The ex DID participants who have shown excellent dance skills are also given chance to judge the fresh season of this show now and also to host and judge other upcoming dance reality show on other channel like Dance Plus on Star Plus. You can also watch the online episodes of Dance Plus for all free from our site. The Season 5 of Dance India Dance panel of the judges include grand master Mithun Chakraborty and new choreographers Muddassar Khan and Gaiti Siddiqui and also the ex DID contestant Punit Pathak. The show’s initial seasons were judged jointly by Mithunda, Geeta Kapoor and Terence while the previous season of DID season 4 was judged by the grand master Mithun Chakraborty, Vikas Singh, Mudassar Khan, Shruti Merchant and Feroz Khan. Though Mithunda was not seen as judge on the latest show of DID i.e DIS Super Moms Season 2, it will be a delighting news for his fans as the Season 5 of DID will see him judging the most deserving aspiring dancers and also appreciating outstanding dance performances with his catch phrase ‘Kya Baat, Kya Baat’. Jay Bhanushali who hosted the Season 4 of DID, but gave a miss to DID Super Moms Season 2 will be back again to anchor the Dance India Dance Season 5. So in spite of fresh judges in the panel, the show retains some of its key attractions too. The dance lovers will be soon getting across the blasting dance performances from the newest dancing talents coming from several parts of country. So hold you hearts in your hands and get ready to go crazy with all lyrical hip hops, salsas, slow motion moves and breath-taking aerial performances. Keep on watching all Dance India Dance Season 5 live online episodes from anywhere you want to at your convenient hours.